This month the danish film institute celebrates the french new wave, showing a great number of classics directed by Jean-Luc Godard, Claude Chabrol, Jacques Rivette, among others. 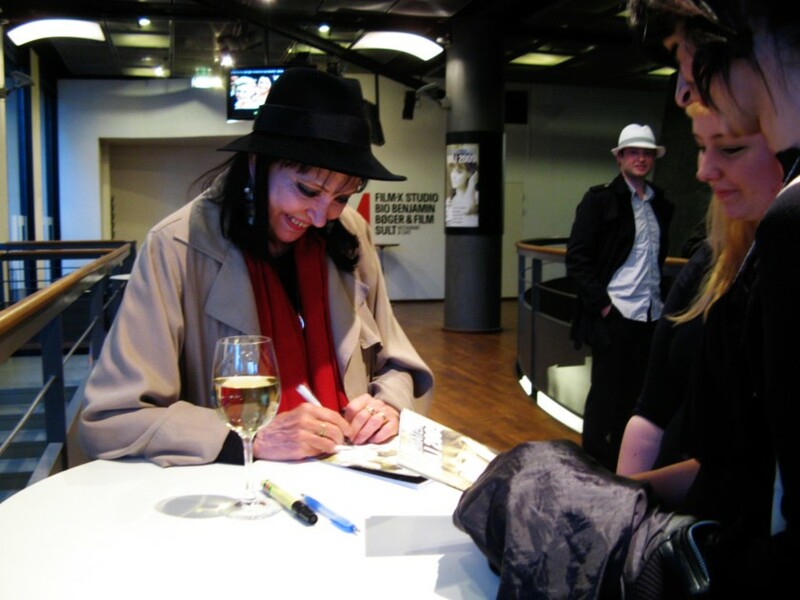 Two of these films were introduced by the lovely Anna Karina, danish herself, but living in Paris since the age of 18. She introduced Godard’s Une femme est une femme, Rivette’s La religieuse, both starred by her, and the recent Victoria, which she directed and acted. 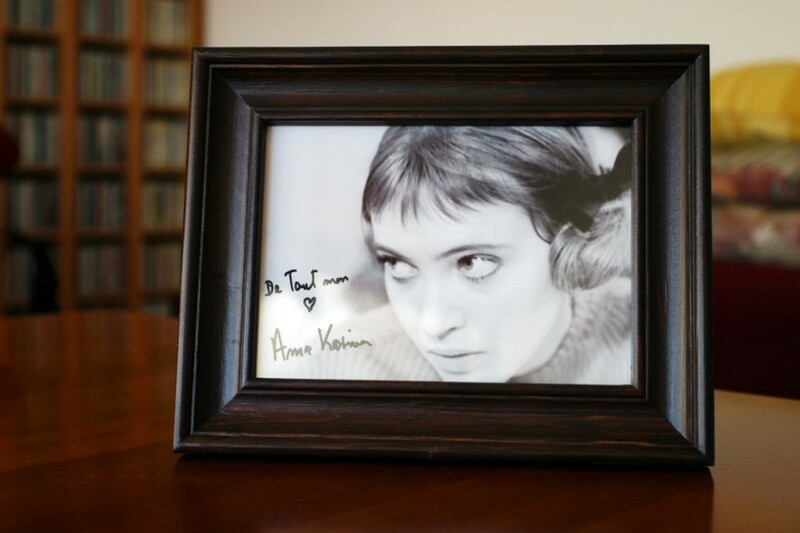 Anna Karina is as sweet and funny in person as in some of her most famous roles, not to mention her beauty. She’s soon 69, nevertheless, still a very beautiful lady, who speaks danish with a charming accent, forgetting one word or two sometimes, after all, she hasn’t used her mother language in so many years. 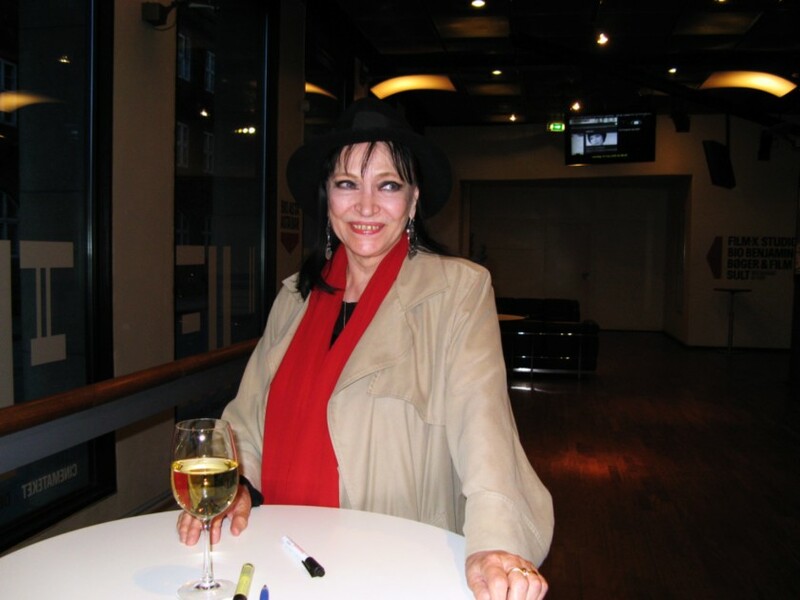 She spoke about meeting Coco Chanel, who gave the idea of the name Anna Karina (her birth name is Hanne Karen), about working as a photo model in her beggining in Paris, while saving money to take french lessons. She told that Godard didn’t want to give her the role in Une femme est une femme at first (“I can’t imagine you saying those lines”), about the controversy surrounding La religieuse (“It was a subject no one talked about, not even in private”, in reference to the suggestive homosexualism in the film), about Brigitte Bardot (“a very beautiful woman at her time, but I don’t share her political view”), about drinking red wine and smoking cigarettes in her youth (“You can tell by my voice”, she laughs, in reference to the cigarettes). She gave a lot of attention to us, admirers or fans, signing autographs and posing for pictures. I never got nervous during the few times I approached famous people, but this time, my hands were nearly shaking. I don’t know, it’s just that meeting a true movie legend in person meant so much to me, especially considering the passion I have for films. Truly exciting. When she saw the picture I was holding, she instantly recognized it as a film still from Godard’s Bande à part. Later, she said how happy she was, for the fact people and even young people still appreciate the films they made so long time ago (in reference to those involved in the french new wave). Of course we do, they’re classics, and they’re unique. In Une femme est une femme, Anna Karina plays Angela, a stripper who shares a small apartment with her boyfriend Émile (Jean-Claude Brialy) . She wants to have a baby, but he doesn’t agree with the idea, throwing Angela in the arms of Émile’s friend Alfred (Jean-Paul Belmondo), who claims to be in love with her. A delicious up-side-down romantic comedy playing constantly with film language, Une femme est une femme is a first class entertainment filled with colour and imagination, as reality and fantasy becomes one. One of my favourite scenes! >I am so jealous! I'm a huge fan of Anna's work with Godard. But obviously not a very good fan because I wasn't aware that she is Danish!anyhow, very cool that you got to meet her! >what a great story! how lucky of you to meet a legend like her! >I can't believe you met her! How exciting! 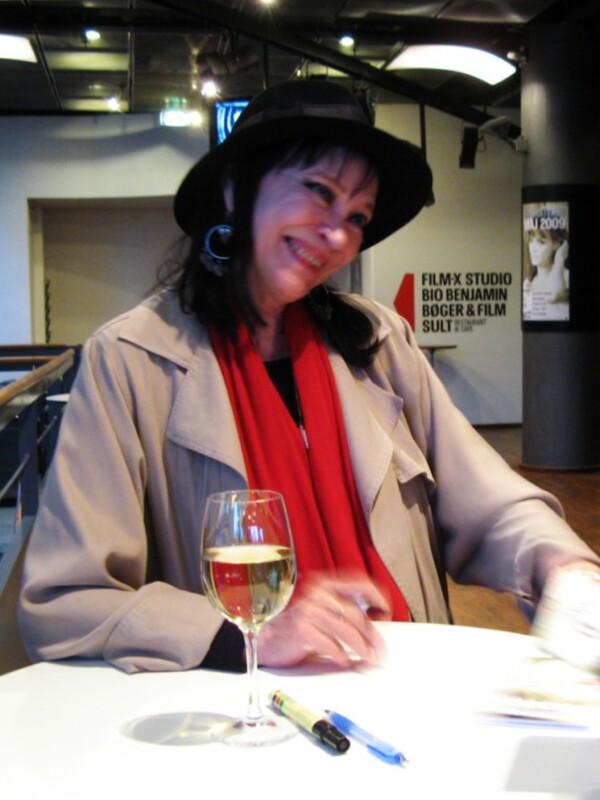 >Nunca ouvi falar da Anna Karina, mas adorei ler seu relato sobre conhecê-la! E adorei saber mais sobre ela e os filmes que ela fez. >I can't believe you met her! She's the coolest. Wow she looks really great still. I so wanted to go, but couldn't on those days. wow! >Does anyone have any information about Anna's future public appearances? I would love to see her in person.